Elsa is a massage therapist at Crimson. She is the mother of four, and the grandmother of two beautiful kids. Elsa also loves nature and being out in nature. The beauty of the greenery and the fresh air always manage to lift her spirits. Another quality of Elsa is that she loves everything Star Trek. Live long and prosper, Elsa! 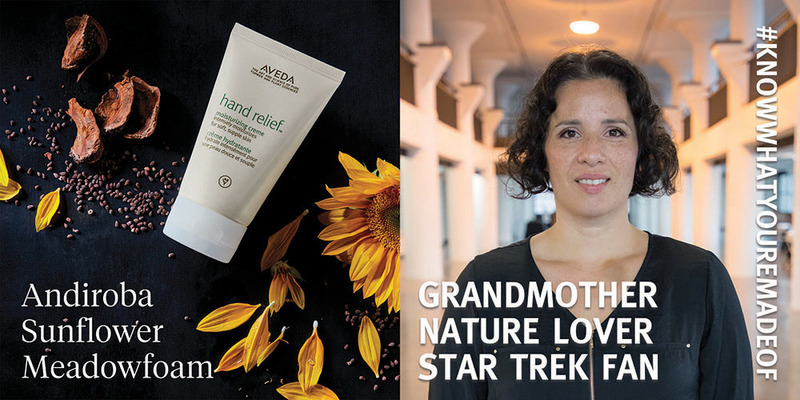 Crimson Salon and Spa aligns themselves with Aveda's Mission - "to care for the world we live in, from the products we make to the ways in which we give back to society. At Aveda, we strive to set an example for environmental leadership and responsibility - not just in the world of beauty, but around the world." Crimson Salon & Spa. All Rights Reserved. Copyright © 2007–2017.